A comfortable and early retirement is the Holy Grail for all of those ready to leave behind the toil of the work world. However, there are many factors to take into consideration before heading into your boss’s office and announcing your imminent departure. Getting your finances in order before taking the leap is essential, and the strategies below will help you fortify your financial health and leave you in the best position possible in those golden years. It’s important to define how you see your retirement playing out. Will you use the time to travel the globe? Are you hoping to sleep in until noon every day before taking the grandkids on shopping trips? Maybe you plan on taking up every hobby you’ve put off through the years. It’s important to define your plans for retirement, as it will help you better determine how your finances stack up. Outlining your vision for the years to come will help you set realistic goals. It’s important to avoid overspending as you become more serious about saving for retirement. That’s why your first move should be setting a realistic budget for the months prior to retiring, and the years that will follow. Once you have a budget in place, lay out the expected costs of future needs, whether it be end of life care, travel expenses, or housing costs. Take a look at your current savings, and compare those against what you plan to use each year. This will give you an accurate look at the state of your finances, and tell you whether or not you’ll need to continue working before retirement is a realistic choice. You should also look at your current expenses as well. 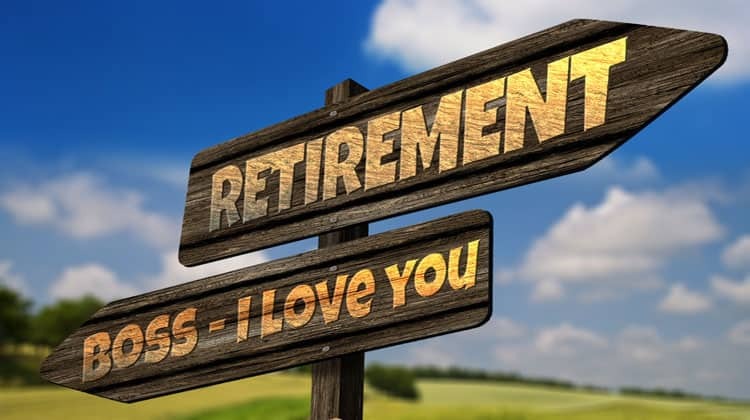 Are there any that will go away when you retire? For any expenses that will be sticking around, can you find ways to cut back and save some money? It’s important to include any debt you currently have in your budget planning. You’ll need to ensure your budget includes monthly payments dedicated to getting rid of this debt as soon as possible. As we get older, we must face the discussion of end of life care and funeral plans. Not always the most comfortable, and definitely not the most enjoyable, sitting down to discuss and plan out your wishes is essential. We never know what life has in store, and the last thing you or your family members need to face during times of grief are money struggles. Convalescent homes, hospice care, and funeral costs can add up to hundreds of thousands of dollars, and if you don’t have a plan in place to cover these expenses, your loved ones will be left in the lurch. If you don’t already have full coverage from a life insurance policy, be sure to check out life insurance for seniors, funeral pre-planning options, and savings accounts dedicated to these expenditures. It may be uncomfortable to think about now, but more than worth the effort later for everyone involved. For many, retirement doesn’t mean leaving the work force completely. Not all of us are left in the position of having financial freedom after leaving our 9 to 5 jobs. Many retirees have made their foray back into the work world with less stressful jobs, often part time positions. Many tech-savvy retirees have found a bevy of online jobs by joining sites like Odesk.com. Before leaving your current job, consider your employment options. One of the most important decisions you’ll make is when to start collecting your social security. The income made from social security often covers the basics and retirement essentials, but the age at which you choose to start collecting this check can have a significant effect on how much you’ll actually receive. The longer you can hold off, the more you’ll receive, so it’s in your best interest to put off the inevitable for as long as your finances can handle it. Before retiring, you need to make sure you’re in the best health possible. Try to deal with any health issues as you have while you still have work insurance, and commit to preventive measures to keep yourself in great shape. This means eating well, exercising regularly, and keeping your mind firing at full capacity with brain exercises like those found at Lumosity.com. My dad is nearing retirement age and giving up his day job. He has considered taking on a smaller, less stressful job to stay financially stable. I’ll have to show him this advice! Thanks for sharing! I believe that proper retirement planning starts many many years before considering retirement. Unfortunately more and more people aren’t saving like they should and find that they have to work a lot longer and struggle financially. It is important to plan, and once in retirement keep a careful eye on spending. Great information, thanks for sharing!